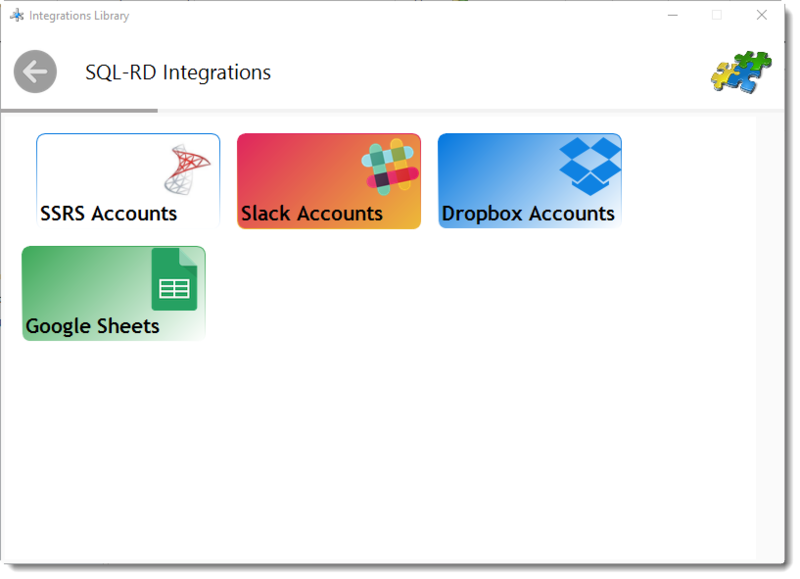 How do I add SSRS Accounts in SQL-RD? 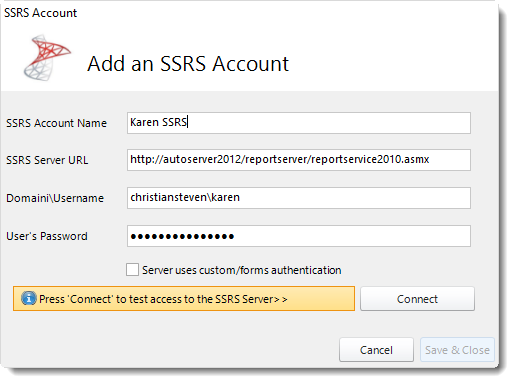 SSRS Account Name: Enter the name for the account. 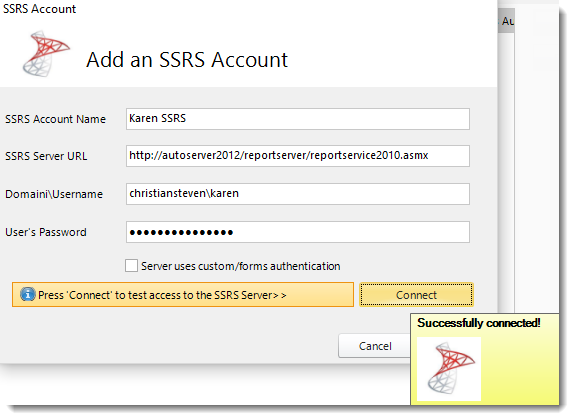 SSRS Server URL: Enter the address of your reporting services server. Domain\Username: Enter the domain and user for the SSRS Server URL. 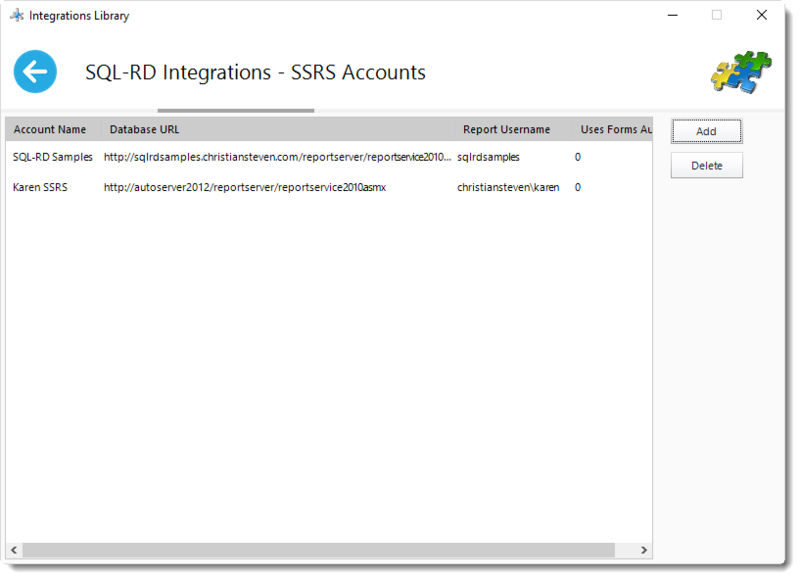 The SSRS Account is now added to SQL-RD.